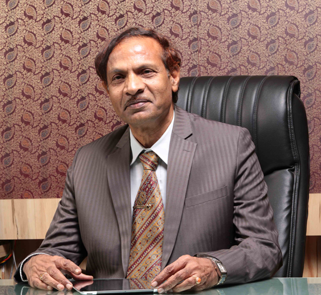 His academic and professional accomplishments, vast academic and administrative experience, and the vision towards technical and higher education has been a guiding force for Vel Tech Rangarajan Dr.Sagunthala R &D Institute of Science and Technology to realize its goals. 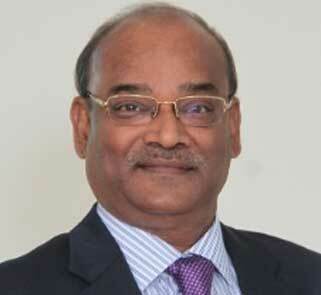 He is a renowned academician and administrator, who has a chronicle of an illustrious career. He started his career as Lecturer in the department of civil engineering in Osmania University, Hyderabad. His passion in the field of education stirred him to continuously grow and accomplish. He later became the principal of Osmania University, Hyderabad. He recently held the position of Vice Chancellor of JNTUK, Kakinada. 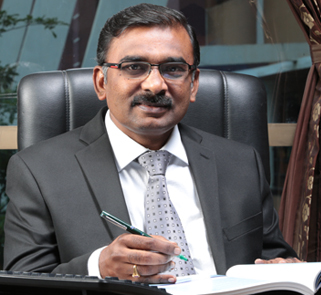 Prof. Dr. E. Kannan, Registrar of Vel Tech. He obtained his Ph.D from NIT, Trichy in the year 2006. His research interest spans across computer networking and parallel computing. Much of his work has been on improvising the understanding, design and the performance of parallel and networked computer systems, mainly through the application of data mining, statistics and performance evaluation. The Board of Management of the Vel Tech Rangarajan Dr.Sagunthala R&D Institute of Science and Technology, Deemed to be University, Avadi, Chennai is constituted as per UGC Regulation 2016 with the Members nominated by the Chancellor and the Sponsoring Trust along with the Deans and Faculty Members of the Institution. Sector 49-D, Chandigarh – 160047. 10 Col.Prof. Dr.Vel R. Rangarajan. The Academic Council of the Vel Tech Rangarajan Dr.Sagunthala R&D Institute of Science and Technology, Deemed to be University, Avadi, Chennai is constituted as per UGC Regulation 2016. Naval Science & Technological Laboratory, Visakhapatnam. Mahindra World City, Chengalpattu, Tamilnadu, India 603004. 400 feet Outer Ring Road, Avadi, Chennai-600 062. The Finance Committee of the Vel Tech Rangarajan Dr.Sagunthala R&D Institute of Science and Technology, Deemed to be University, Avadi, Chennai is constituted as per UGC Regulation 2016 with the Members nominated by the Sponsoring Trust and Board of Management of the Institution. 2 Col.Prof. Dr.Vel R. Rangarajan. The Planning & Monitoring Board of the Vel Tech Rangarajan Dr.Sagunthala R&D Institute of Science and Technology, Deemed to be University, Avadi, Chennai is constituted with the following Members as per UGC Regulation 2016. Environmental and Water Resources ENGG Division & Dean Planning IIT Madras. 400 feet Outer Ring Road, Avadi, Chennai-600 062. Prof. Dr.A.T.Ravichandran.